Height of 3′ to 5′ 11″ (90 to 180 cm). Width of 3′ to 47″ (90 to 120 cm). Empress Joséphine had more than 150 varieties of Gallicas in her collection at La Malmaison, and many more varieties were subsequently grown, mainly in France. 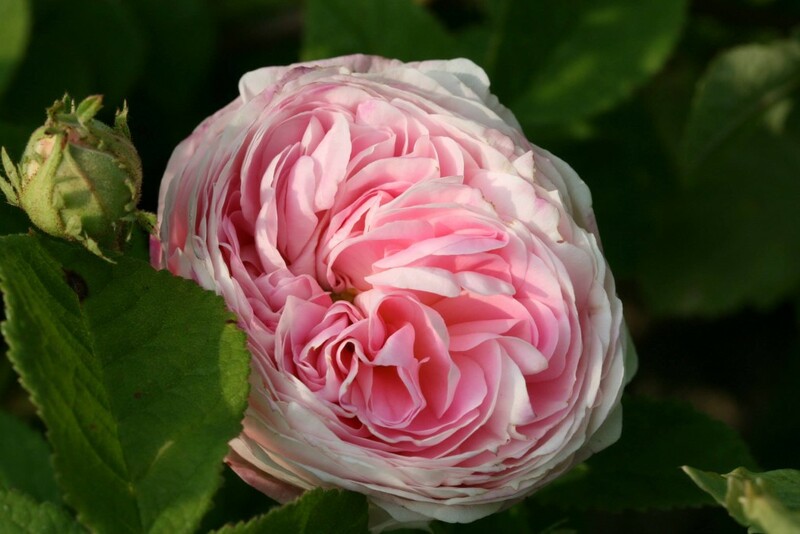 In Victorian times they were also called French roses or Provins roses. From Suzanne Verrier: ‘The central character in the modern history of Gallicas was neither a crusader nor a druggist but instead a willfull, colorful, and talented woman, Marie-Josephe Rose Tascher de la Pagerie of Martinique. In 1796, she married Napoleon. Joséphine, the name Napoleon preferred, had been known as “Rose” to intimate friends and family. Was it this name that predisposed her to a love affair with roses? At her estate, La Malmaison, Joséphine amassed a most impressive collection with the help of her agents who had scoured Europe and beyond for all the known rose species and varieties. Neither war nor annulment of her marriage to Napoleon deterred Joséphine from her goal. At their height, the gardens at La Malmaison would boast approximately 250 varieties, of which some 167 were Gallicas. Joséphine’s gardens generated intense competition among gardeners, which spurred on the nurserypeople and resulted in the creation of a multitude of new varieties. Rose hybrids number in the thousands by the first quarter of the 19th century. The fabled details of Joséphine’s life serve to remind us that life is change, even for the Empresses among us. Due to the extravagance and enthusiasm of Joséphine, her garden was one of the most beautiful in France. Famous botanists like Aimé Bonpland, thought it to be an honor to advice and offered to help. Bonpland gave her seeds and plants collected on his expedition to Central and South America (1799-1804) and later he wrote to her Descriptions des plantes rares cultivees à Malmaison et à Navarre, illustrated by Redouté.